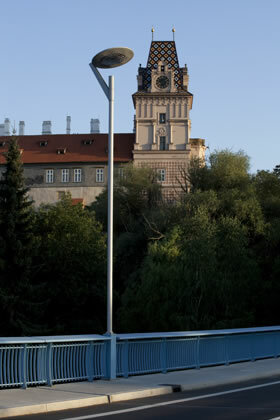 Brandýs nad Labem-Stara Boleslav is a Czech Republican city, part of the district of Praha-východ, on the suburb area of Prague, in the region of Central Bohemia. 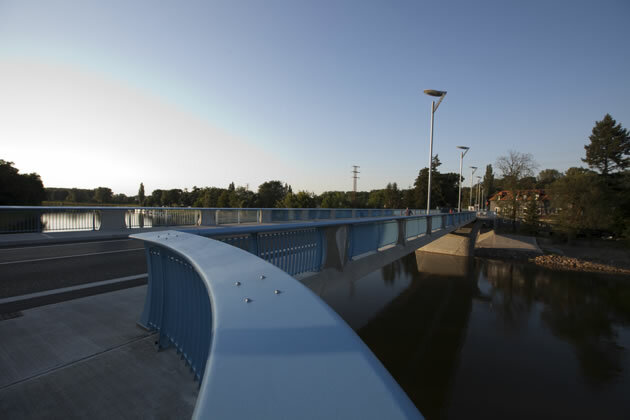 A long arched bridge named Brandýs nad Labem Road Bridge links Brandýs nad Labem and Stara Boleslav, two very small towns located on a fairly busy tourism way. 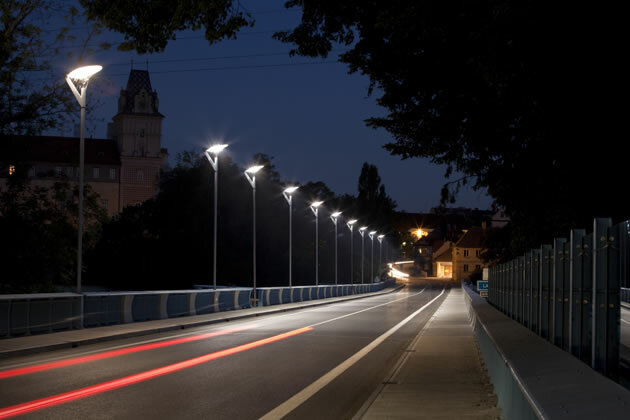 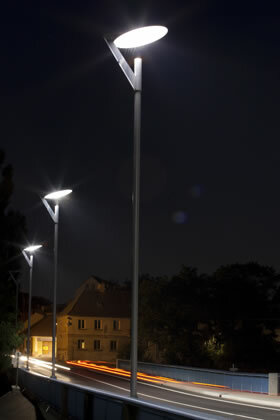 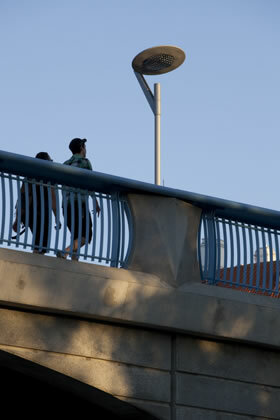 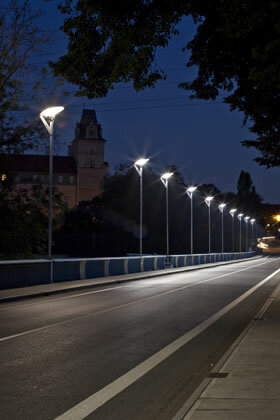 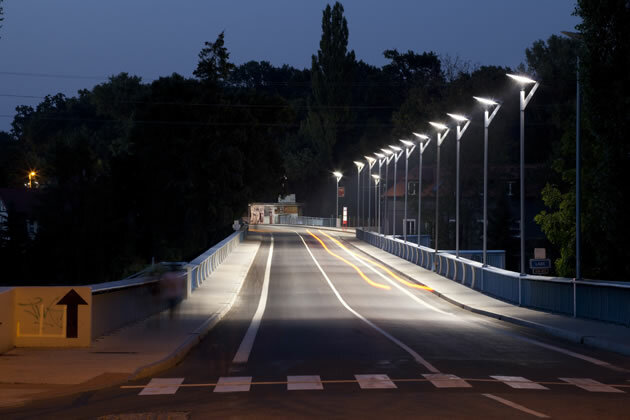 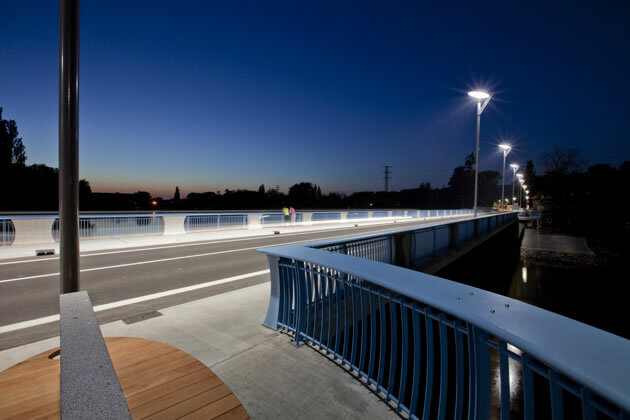 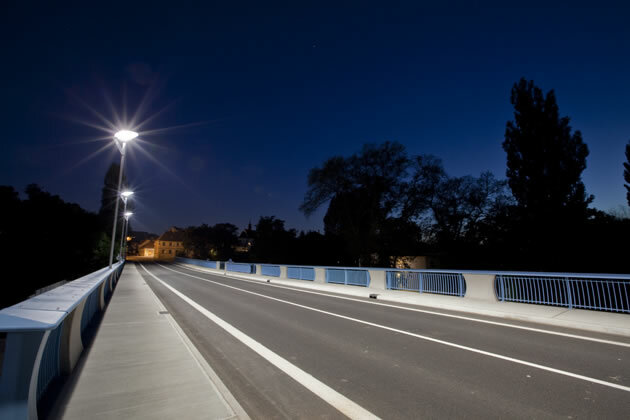 In this context, the post top luminaires for urban context from Simes, draw the long prospect of the bridge, ensuring the proper lighting on the road way and protecting the pedestrian and cycle way. 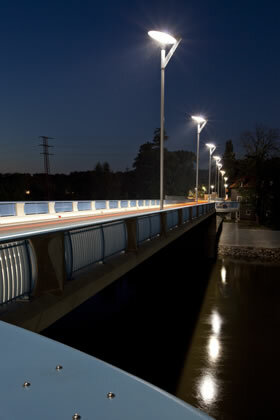 MINISLOT AVANT-GARDE uses the secondary mirror reflector technology, with 88 multi faceted mirrors to achieve outstanding optical performance and a perfect uniformity of light distribution and a full visual comfort.